Share the post "The JPanel"
This is the same example when in our JButton tutorial with little modification. In this example, we have created our frame, button and our panel. The button was placed inside the panel, and the panel was placed inside the frame. JPanel works like our JFrame. We have created two panels and a frame. The two panels have been added to our frame. – create an instance of JPanel. – set the size of our panels to 250 in width, 400 in height. 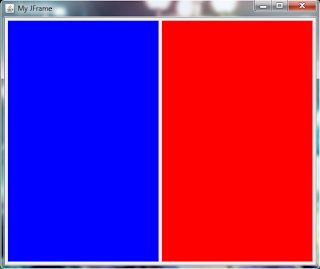 – set the background of our panel to color blue. 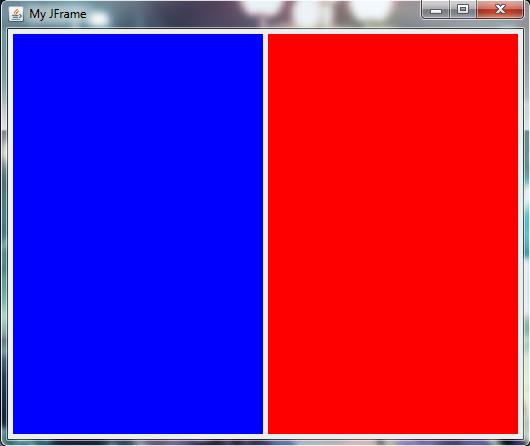 – set the layout of the frame to flow layout. You will learn more about layout manager later on the next chapter. – add our panel to the frame. – sets the size of our frame relative to overall size of whatever components inside the frame.